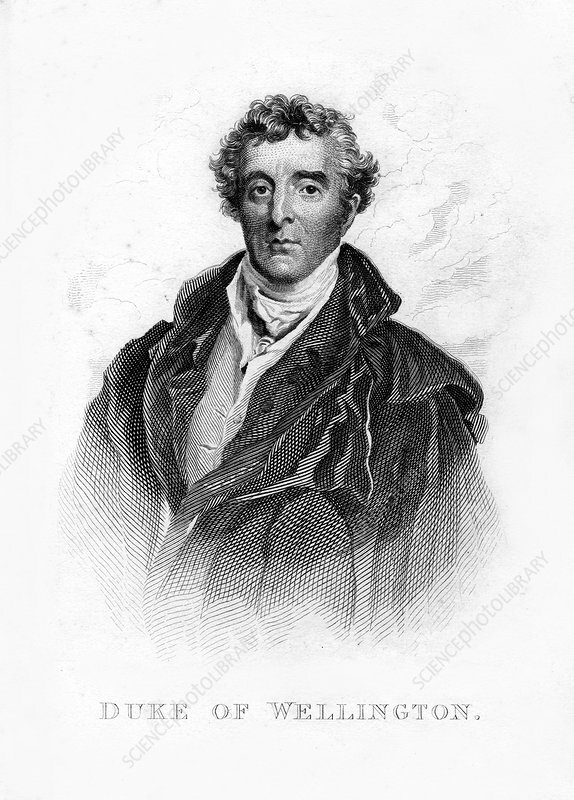 Arthur Wellesley, 1st Duke of Wellington, British soldier and statesman, 19th century. Anglo-Irish Wellington (1769-1852) was Governor of Mysore, 1799-1805. He was rewarded with a knighthood on his return to England in 1805. In 1808 he was sent to aid the Portugese against the French, and became chief of command in the Peninsula campaign. His military career culminated in his defeat of Napoleon at Waterloo, 18 June 1815.